Habitat’s affordable, energy-efficient homes are built to ENERGY STAR® standards to keep utility bills low for homeowners. At Diamond Park, our recent 21-home development in North Central Philadelphia, completed homes received an average Home Energy Rating System (HERS) index of 45. This means they use 42% less energy than the average new home, and save 6,000 kWh per home per year. Habitat’s next 20-home project, Oxford Green in Sharswood, will have green roofs for stormwater management in addition to meeting ENERGY STAR® standards. Check back for more updates! Habitat for Humanity Philadelphia is a certified Aging In Place (AIP) affiliate of Habitat for Humanity International. The average homeowner who partners with Habitat for Humanity Philadelphia to make critical repairs to their home is 72 years of age. The Home Repair Program works to improve accessibility and safety in homes so that older Philadelphians can comfortably age in place. Recent funding for the CAPABLE program (Community Aging in Place – Advancing Better Living for Elder) expands Habitat’s AIP work through a partnership with Drexel University’s College of Nursing and Health Professions and Thomas Jefferson University’s College of Rehabilitation Sciences Department of Occupational Therapy. By combining Habitat’s expertise in critical home repairs with the work of nurses and occupational therapists, CAPABLE helps aging Philadelphia homeowners to stay healthy and safe as they grow older in their homes. For Homeownership, Habitat’s future home designs include flexible space on the first floors of each home. This ensures homeowners can enjoy and live in a space that meets their needs at every point in their life. Habitat is a partner in the Home Preservation Initiative (HPI). HPI is a collaborative service delivery model that provides high quality home repairs in a cost-effective manner within a targeted area of West Philadelphia. Habitat is part of a subset of HPI partners to receive funding from the BUILD Health Challenge in collaboration with the Children’s Hospital of Philadelphia. Through this funding, HPI seeks to improve asthma outcomes related to unhealthy housing in five neighborhoods in West Philadelphia. By combining home repairs and community health worker home visits, HPI aims to significantly reduce emergency department visits and hospitalizations due to pediatric asthma. Using outcome data, the collaboration will show health care cost savings, aiming to make a strong case for Medicaid reimbursement for home repairs. As a member of Habitat for Humanity International’s Repair Corps program, Habitat for Humanity Philadelphia partners with veterans and their families throughout the City of Brotherly Love on critical home repairs. Repair Corps is generously funded by The Home Depot Foundation. 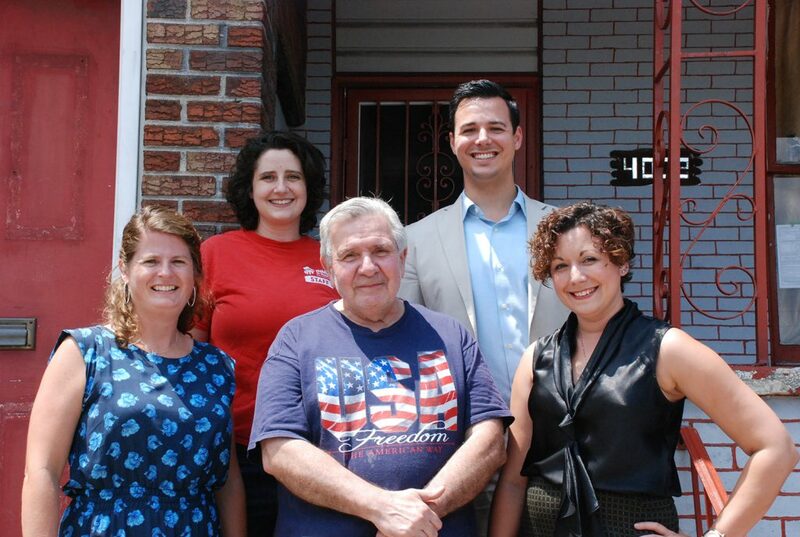 Through funding from the Federal Home Loan Bank of Pittsburgh, Habitat for Humanity Philadelphia plays the role of general contractor in a partnership with Esperanza to bring affordable home repairs to the Hunting Park community. Hunting Park is a fast-growing neighborhood, quickly establishing itself as a gateway to Latino Philadelphia. Through this partnership, Esperanza’s Housing and Economic Development (EHED)’s program, the Building Hope Critical Home Repair Initiative, will provide low-cost critical home repairs to 20 owner-occupied homes along the North 5th St corridor.